The Molokai Holokai Ho'olaule'a is a 2-day festival on the island of Molokai hosted by Youth in Motion and the Stand Up Paddle Association of Molokai. The Sunday's race is an 10 mile downwinder from Kamalo Harbor to Molokai Community Health Center located at the harbor. There will also courses ranging from the 3/4 mile, 2 miles, 4 miles, 5 miles, and 10 miles to the Health Center. The 3/4 mile race for the Keiki and Makua will be from the Mowat homestead. The Molokai Holokai Ho'olaule'a is a 2-day festival on the island of Molokai. A super fun weekend for all levels from the serious racer, to the recreation and something for the whole family to enjoy! 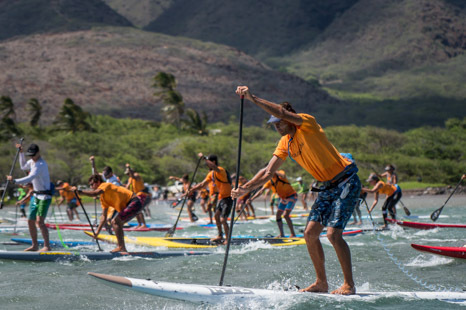 The race started in finding ways for the visiting paddling community to benefit the Molokai community, while having a fun time racing on one of the best ALL ROUND courses in Hawaii. Most channel paddlers would only see the start and finish line and not give themselves the opportunity to explore and enjoy Molokai. This is how the race evolved, an event that could be enjoyed by competitors, friends and family. 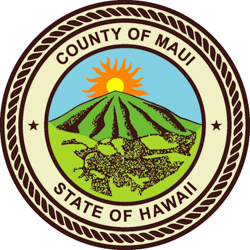 The course of 10 miles will start from Kamalo Harbor and finish at Molokai Community Health Center. All divisions: SUP, OC1, OC2, OC6, Prone and Ski. Prize giving, food and drinks will be happening at the Health Center along with an evening of wonderful Molokai hospitality and entertainment. This is a fun event and competitors play an important role in contributing to the local community with their participation. If you plan to stay on Molokai we have some awesome activities and some great paddling. No matter what you want to do, Molokai can give you what you need. Molokai can certainly get you in the mode with the perfect environment for mental preparation leading up to the World Championship race at the end of the month for Stand Up and Prone paddling . 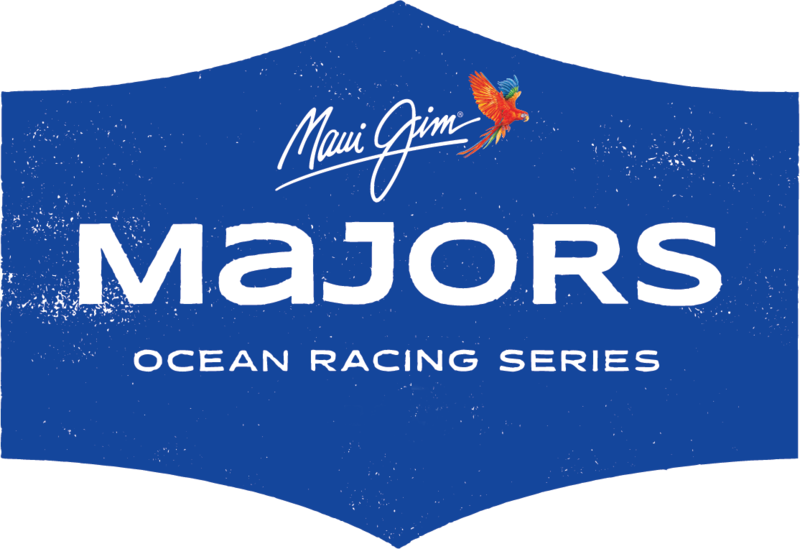 THE 2019 RACE ENTRY WILL COVER 2 DRINKS AND FOOD, shuttle to the race start and shuttle of your boards to Hotel Molokai if you are racing in the M2Molokai Challenge the day before we got your transportation, Saturdays dinner, shuttles, rash guard, t-shirts, drinks and more. Full value entry fee alone! Rash Guard T, Tank Tops are available on first come first serve basis. We have a limited amount of rash guards in certain sizes so sign up early so you can get first pick of your size. Shuttles will be available for the contestants to the start along with the transporting boards on the trailer. The shuttles on race day are complimentary for all our off island visitors. We will be running the trailer to Kamalo for the boards through out the morning at the designated times below. Shuttle times to Kamalo will start early so book your shuttle time to the race start early to get the best shuttle option. GRATUITY TO THE DRIVERS WOULD BE MUCH APPRECIATED! Eligibility: Open to all. Kamalo run must be for the intermediate/experienced only. ALL YOUTH ARE FREE, SO NO ENTRY FEES BUT THEY MUST REGISTER! Race Day Briefing: 30 mins prior to the first start time at Kamalo. THIS BRIEFING IS MANDATORY! TIDES: Tide is rising making this the best it gets..
SAFETY: All paddlers are advised to carry a cell phone or have a VHF radio WHEN doing the Kamalo run and carry whistles and streamers etc Intermediate paddlers are advised to stay inside the reef. Make the time and make this a weekend to enjoy the hospitality of Molokai....Look forward to seeing you for the Maui Jim Molokai Holokai weekend! The Molokai Holokai Ho'olaule'a brings our local paddlers and community together to enjoy a festive weekend of healthy ocean activities. "The Molokai Holokai Ho'olaule'a will embody our inherent Hawaiian cultural values - taking care of the land and sea, giving back to community, honoring host culture/language, respecting others"
We have some great activities to offer after the weekend. We are trying to encourage people to take some time on Molokai and learn about the island, the people, and the lifestyle. Get to know Molokai and participate in what we have to offer for this week….I think we can safely say you won't regret it and smile that you can really understand a little more about the island of Molokai and her people. If many need to leave Sunday night after the M4Molokai please arrange your flights with Makani Kai Air, Mokulele or Hawaiian.